Having a confident smile can change everything. 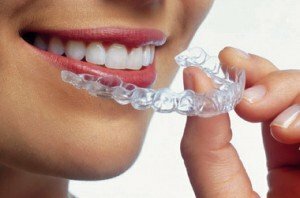 If you've ever considered undergoing teeth straightening treatment, Invisalign makes the decision easy, because you can get a great and healthy smile without most people even noticing you're going through treatment. So, start on the right track today, and find out how you can achieve the smile you've always wanted with Invisalign. Why choose CLDC for your Invisalign treatment? The Invisalign system uses a series of removable and clear aligners to move your teeth over time and give you the smile you've always wanted. These virtually invisible braces straighten your teeth and improve your smile without the need for fixed braces. What's more, a virtual 3D treatment plan (ClinCheck®) shows the series of movements your teeth will go through over the course of the Invisalign treatment. This allows you to see upfront what your teeth are expected to look like at the end of the treatment. From the results of the ClinCheck, your custom-made, clear braces are produced especially for you. If you're ready for a smile that transforms your appearance, Invisalign is your answer. Although there are many choices out there, no other treatment works as comfortably and discretely as Invisalign. Discover if Invisalign is the right treatment option for your smile. To arrange a consultation with one of the best Invisalign dentists in Melbourne, please call our clinic on (03) 9500 2084 today. You can get in touch with us to know about the Invisalign payment plans as well. Want to see more of Dr King's work? visit our smile gallery!